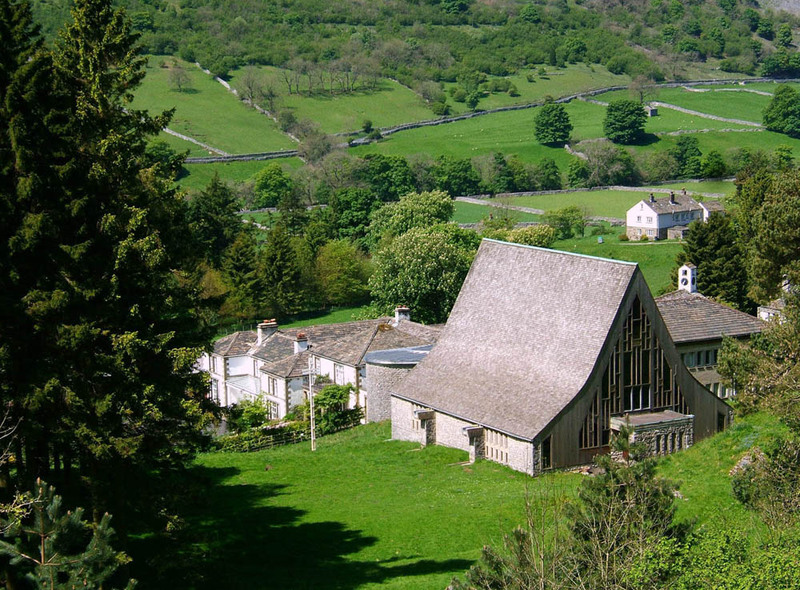 Scargill House is a Christian Retreat & Conference Centre run by a resident Community. There are no staff here, we all play our part in running the house & in return receive board & lodgings as well as a small personal monthly allowance, I often joke that we work for tea & cake! I am responsible for our Marketing, as well as offering a warm welcome to our guests. Before living at Scargill I was living in a city centre, working full time for the ambulance service, & hoping there was more to life than the 9-5 grind & 30 days holiday a year. I came to Scargill as a guest in 2010 & it felt like a place I could breathe for the first time in a long while. After that I came regularly as a volunteer doing youth work & then in 2012 made a leap of faith & joined the Community full time. The view from my office! That and the challenge of living & working as part of the Scargill Community. There are approximately 32 of us living on site, from 8 countries, with a 60 year age gap between our youngest & eldest member. It is quite a counter-cultural way of doing life, to choose to live & work alongside people that you potentially have very little in common with, but it works. It is like being part of one very big, crazy and loving family – with all that family entails, including people getting on your nerves! I think the wider Community in the Dales can feel like that too, being part of something that extends beyond your own four walls, a sense of belonging. It is a feeling that I didn’t have when I lived in a city. I would hope that here we are all trying our very best to live out our strap line, which is “Lives shared, lives transformed.” What could be better than that? What do you think visitors gain from being at Scargill? For many people it is the feeling of 'Coming Home'. We strive here to offer the welcome of Jesus to all. A feeling of being accepted for just being themselves, that, and a few extra pounds from eating all the marvelous food produced by our kitchen team! If some one is feeling a little down, where in the Yorkshire Dales do you suggest they should visit? The top of any hill they are capable of climbing is a good starting place, alternatively The Forbidden Corner is a good place to remind us not to take life too seriously. I would recommend that two days isn’t a long enough holiday and they should stay for longer! Look at me, I came as a visitor for 24 hours and this place stole my heart. Whatever they do, there is no shortage of good things to eat along the way including the most excellent pink fish & chips at Kilnsey Park. andhere do you feel sudden swooping joy? Coming home from Skipton. There is a bend in the road & as you come round it you get the most astonishing view up the Dale. My daughter now teases me about it, because I can’t help but exclaim “Look at that! Can you believe that is our home?” Everytime! It still gives me a thrill 3 years later. What's the happy detail in everyday life that many of us miss? Looking up. Even on the gloomiest day the light along the Dale and on the hills is extraordinary. It never looks the same twice. The walled garden here at Scargill House. Our Estate team work very hard to keep it looking amazing. It is a place of great peace and beauty. As well as being sheltered by the wind it is often the last spot anyone thinks to look for me, making it a great place to play hookey and spend time with my own thoughts. Michelle Parkin Vaughan from Kilnsey trekking centre. She is one of the most hardworking and cheerful women I have ever met, and is endlessly patient with both the horses and anyone who rides with her. I think the trekking centre gives visitors a real taste of country life, and what better way to view our beautiful Dales than through the ears of a horse? It changes our pace and perspective. The stables is also a great place for young people growing up in the Dale to spend time, learning not just how to ride the ponies, but also how to care for them too. At Scargill House there is always tea and cake at 4pm, so feel free to call by and see us. The Scargill Chapel was designed by George Pace to look like praying hands.